BILLINGS – Part of the Grey Bear Fishing Access Site along the Yellowstone River west of Big Timber is restricted to walk-in traffic only because of hazardous road conditions. The restrictions will remain in place on the campground side of the fishing access site until road conditions improve and crews can make repairs. Montana Fish, Wildlife and Parks closed the gate to the campground, west of the North Yellowstone Trail Road bridge, this week. Snowmelt, a failed culvert and drainage plugged by beavers forced floodwater onto the roadway during the past week. 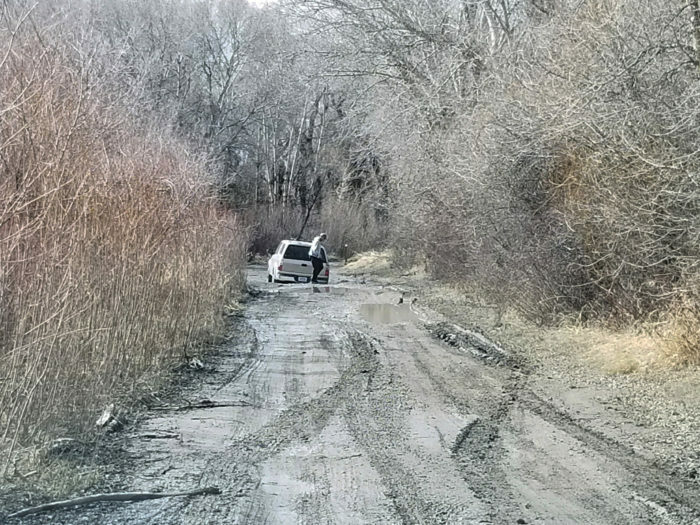 Several vehicles have become stuck in deep mud and road washouts, prompting the closure. The boat launch and parking lot on the east side of the bridge remain open to all traffic. People walking into the campground side of the site should park near the boat launch not along the county road right-of-way.